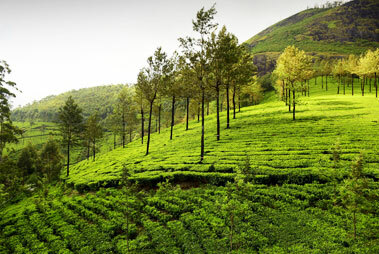 It is no exaggeration to say that Thekkady is one of the most well-known hill stations in Kerala that boasts of serene geography, lush plantations and thick forests. 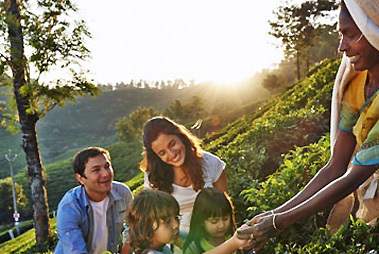 The cool fragrant breeze and the slight aroma coming from the spice plantations become an added attraction. 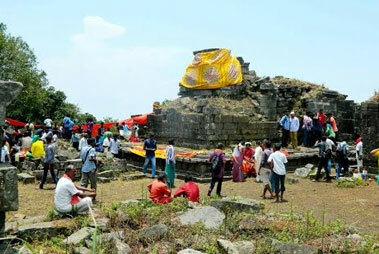 Every year, a decent number of tourists from all around the world, come here to enjoy a relaxing and rejuvenating vacation. 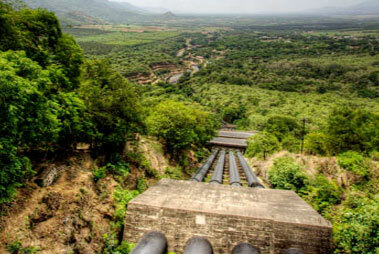 This hill town also boasts of an exotic variety of flora and fauna, mainly birds. 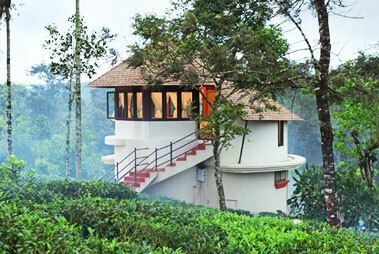 Many bird watching enthusiasts visit this place to indulge in their favourite activity. 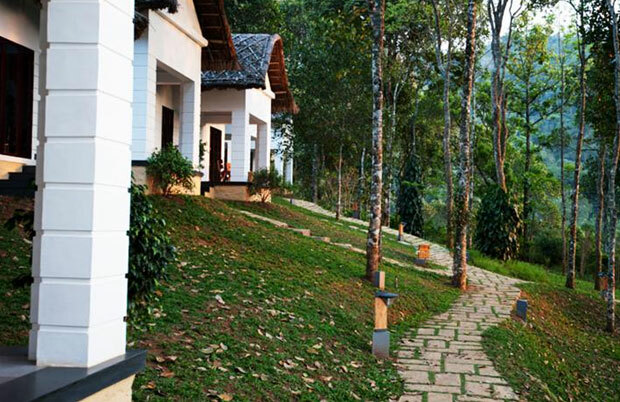 Located in the Idduki district of Kerala at a high altitude of 700-900 metres above sea level, Thekkady boasts of a pleasant climate all throughout the year, which becomes one its main highlights. 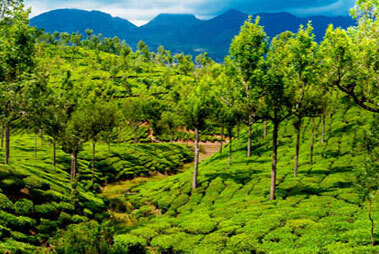 The picturesque hill station of Thekkady or Thekkadi is home to several tourist destinations, where each has its own speciality including the Periyar National Park, Mullaperiyar Dam, Chellar Kovil, Anakkara and so on. 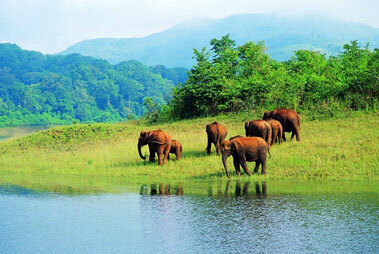 Thekkady is situated on the edge of Kumily, which itself is placed on the borders of Kerala and Tamil Nadu. 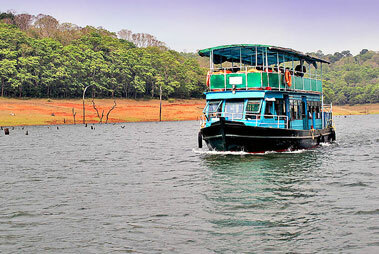 The beautiful landscape of Thekkady including the green carpet of plantations, the mist-covered hills, floral valleys, the crystal-clear water streams, the round the year pleasant climate, exotic flora and fauna, famous as well as lesser-known tourist attractions, are enough to pull tourists. 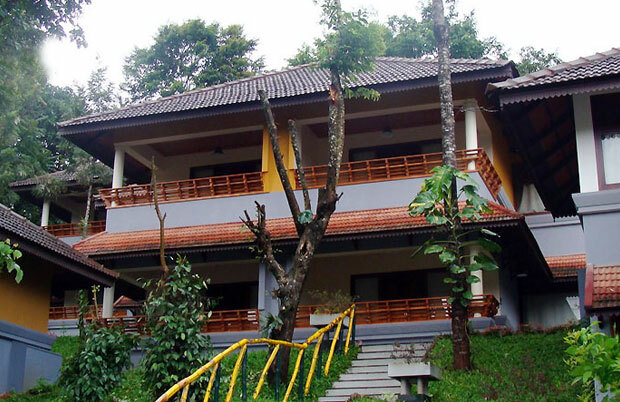 This place is not only for enjoying a peaceful vacation, but one can also indulge in a number of adventure activities such as wildlife trail, trekking, camping, nature walk, bamboo rafting and more. 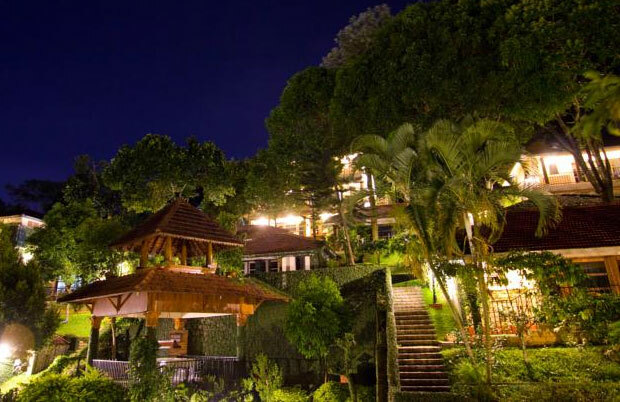 The four-star resort, Cardamom County in Thelakkady, is a unique resort. Located on the top of . 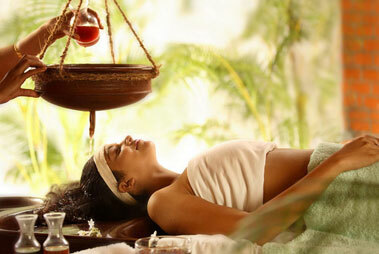 . . Read More..
Niraamaya Retreats Cardamom Club completely justifies the name. It is located right in the middle of . 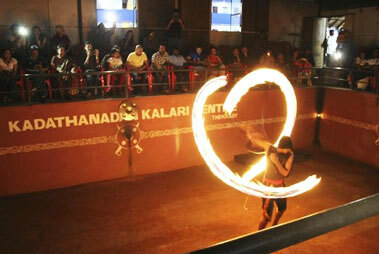 . . Read More..
A stay in The Elephant Court is an experience that one cannot forget throughout his/her lifetime. . . . Read More..